An instant hit – this recipe is cheekily nicknamed Crack Bread for being so addictive! 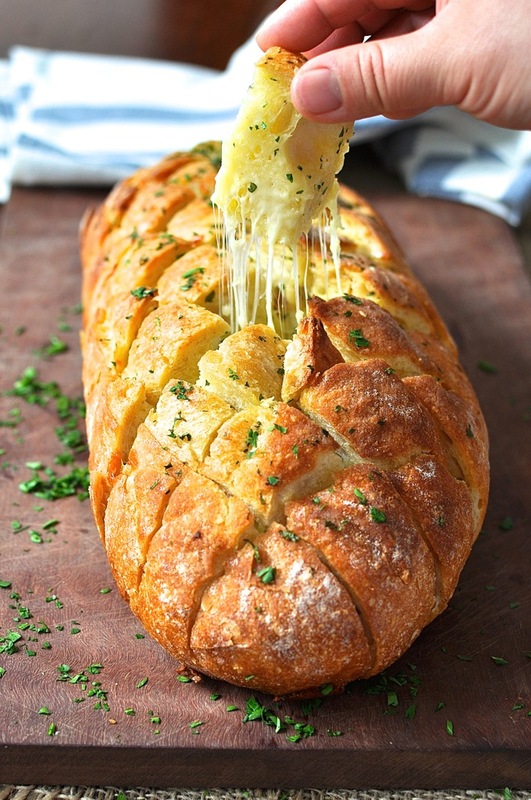 Great for sharing with a crowd or a centerpiece for dinner paired with a salad. This dish is a great way to sample the bounty from your trip to the Garlic Festival. If you are lucky you can find some fresh peas on your trip to the Market as well! 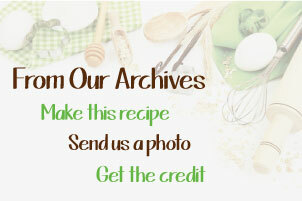 A simple recipe in honour of our 17th Annual Garlic Festival! 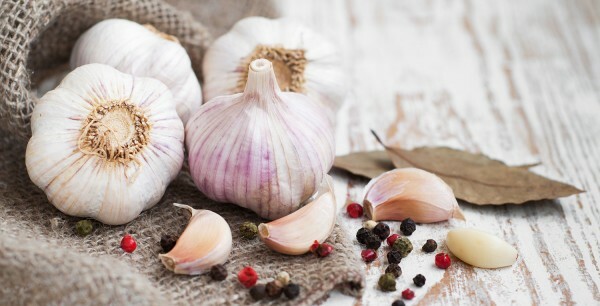 Roasted garlic can be enjoyed on its own or used as a cooking ingredient! 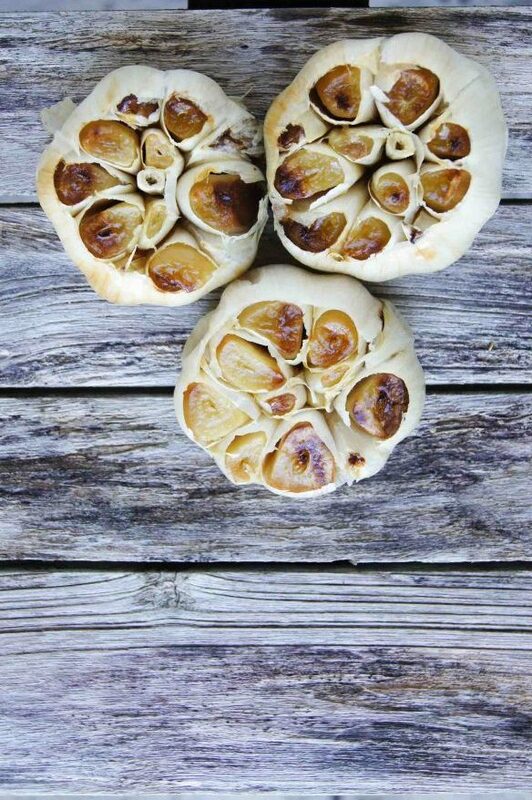 A perfect way to roast garlic. Use as a flavouring for other dishes, or even on toast if you are a real garlic lover. 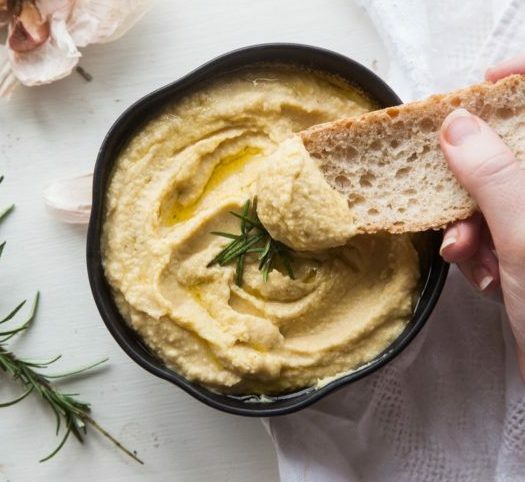 A flavourful hummus recipe incorporating roasted garlic and rosemary in what is sure to be a hit recipe this summer! This delicious recipe featuring one of our favourite ingredients; Garlic, is brought to us by Jeanine’s kitchen. 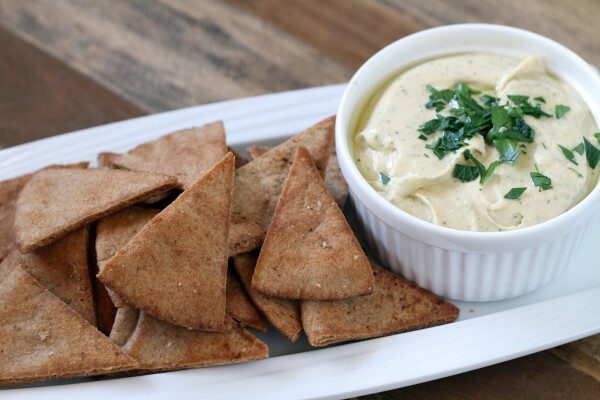 Try it today and find out just how good this Garlic bean dip is!